This article is a part of Medicine Stories, an exclusive series made possible by a grant from the Elna Vesara Ostern Fund. 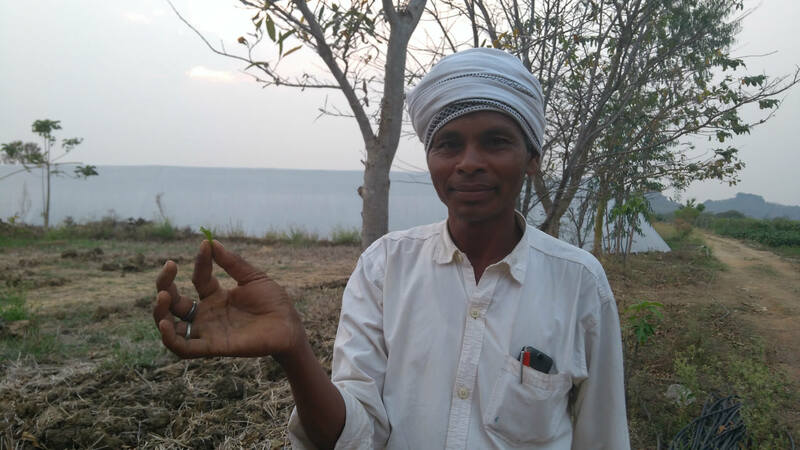 The indigenous tribes of the state of Chhattisgarh in central India have had their share of natural challenges when they lived largely self-sufficient lives, relying on forests for most of their needs. But they look at that period as one of peace and prosperity compared to the current set of man-made difficulties. These troubles first sprung up when the State and private companies were charmed by the rich mineral reserve in the area and started development projects like roads, railways and mines on a war footing. These interested parties then started having violent confrontations with Maoists, the rebel guerrillas in the forests whose stated aim is to fight the violent exploitation and forced displacement of tribals by the government and the corporations. In all these, the tribes often get slotted as victims who need saving or Palaeolithic forest dwellers in need of civilizing. 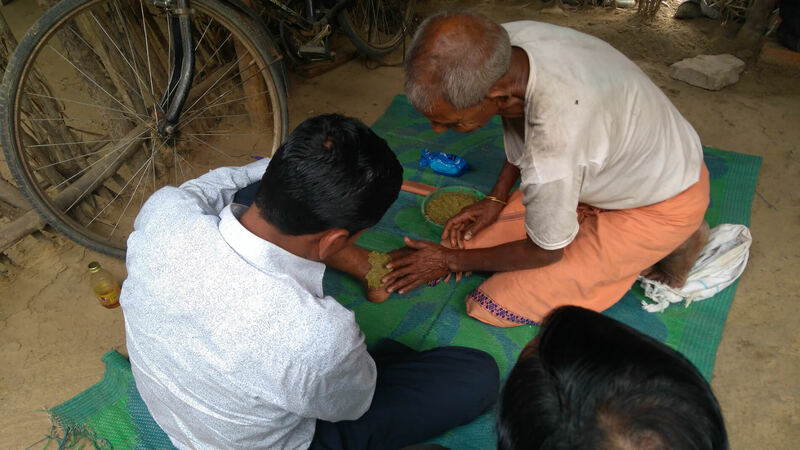 This piece recalls the knowledge and the respect for ecology that has enabled the Indigenous Peoples of Chhattisgarh to practice medicine from a time long before there were health centres to the present day, when people still place immense faith in their homegrown systems. 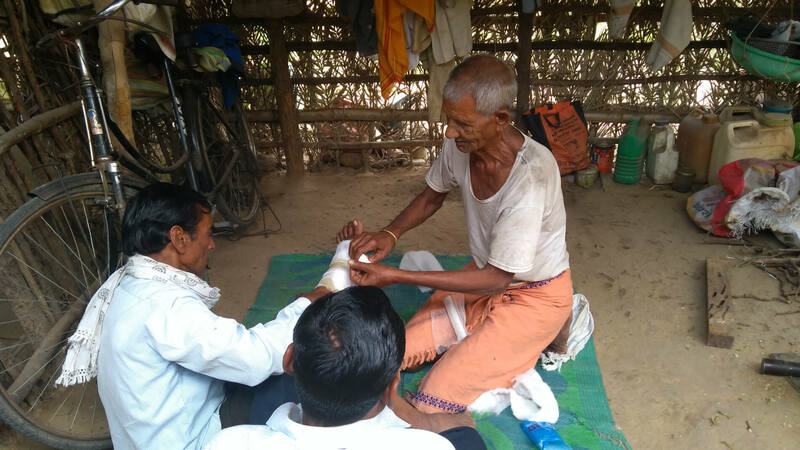 In Khamdongdi village situated in Kanker district, one can find the house of the vaidyaraj, a man venerably known by his patients as the bone-setting doctor. His clientele includes not just villagers but officials and city dwellers from the state capital Raipur and beyond. Sundays are the busiest time for the vaidyaraj. His clinic-house, I am informed, is full of patients from morning till midnight. But even on a weekday, when I am visiting, there is news that a patient from Raipur is on his way. 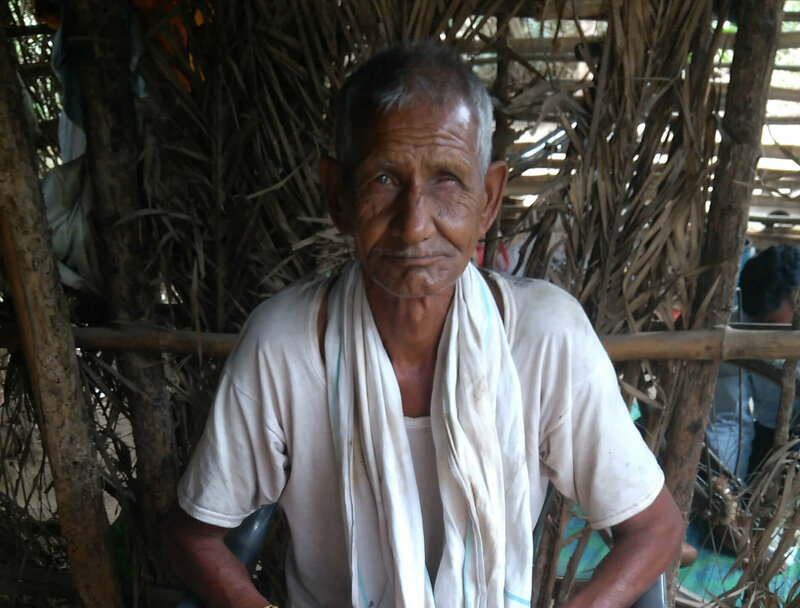 Eighty-five-year old Sundar Singh Kavde, the village’s own orthopedic, stopped his practice after his son died, and patients had slowly started moving to other doctors. The son is spoken of as a legend. Bone surgeons from hospitals were said to visit him when he was alive, and to ask their own patients to come here if the case was complicated. I am shown a chart hung on the wall, naming the various bones in the human body. “The doctor would use this chart to explain to the doctors. The only difficulty came in fixing an injury to the spine, because you cannot bandage it properly, and the ointment doesn’t seep into the wound as well.” So how many people ended up getting cured? “The people who complained of not having recovered did not have restraint, and would have alcohol though they had been asked to abstain.” Within the campus of the house and the clinic, there is a half-constructed structure. The current doctor’s son had started building it so the patients and their relatives could stay there. But one day Sundar Singh, the father, had a dream in which his ancestors advised him to resume his practice–and he did. In the hut that is his clinic, there are some roots and leaves from the jungle. He grinds the roots using a mortar and a pestle. With the advent of a mixer, he started putting the ground medicines into it so it could turn out as fine paste. A makeshift switchboard for the electric grinder is tied to one of the wooden poles that holds the thatched roof in place. A partition creates another room, which has an earthen choolha, so if a patient or their family needs to stay overnight they can cook their food. After he has bandaged the patient’s leg, Sundar Singh comes to this other room and sits on a plastic chair, “My father, grandfather, everyone did this work. It is in our DNA. Earlier we were treating animals more frequently. Now with motors on the road, it’s people.” He gets herbs and roots from the mountains. 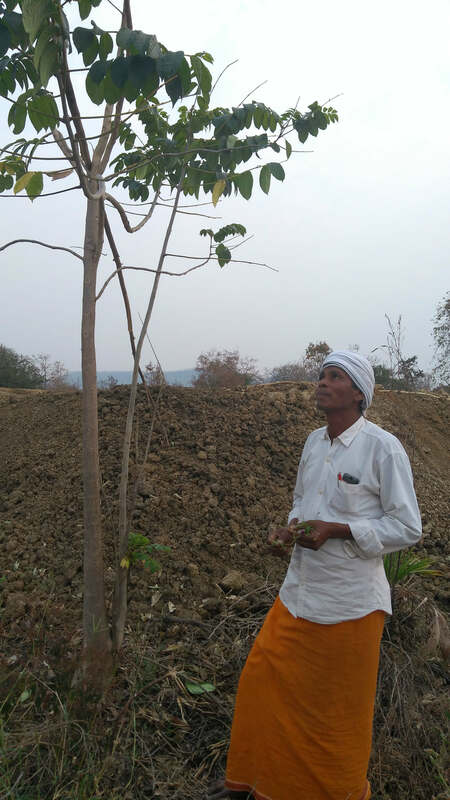 I had heard that at some places, despite the Forest Rights Act protecting the rights of Indigenous Peoples over forest produce, forest officials had been preventing villagers from accessing them. Singh hasn’t faced that problem so far: “People in the government come here to get treated. If they stop me, who will cure them?” Precious medicines do get lost, Singh adds, when there are forest fires due to recklessness. Local reporter Tameshwar Sinha speaks with awe of a deputy forest ranger, quite an exception compared to corrupt government officials, according to Sinha, who had got burnt himself while trying to quell a forest fire. Doctor Sundar Singh also reads books on Ayurveda to aid his learning. “At times our gods enter our dreams and guide us when we are not treating a problem in the required way.” He also gets some medicinal leaves, etc., from the market. 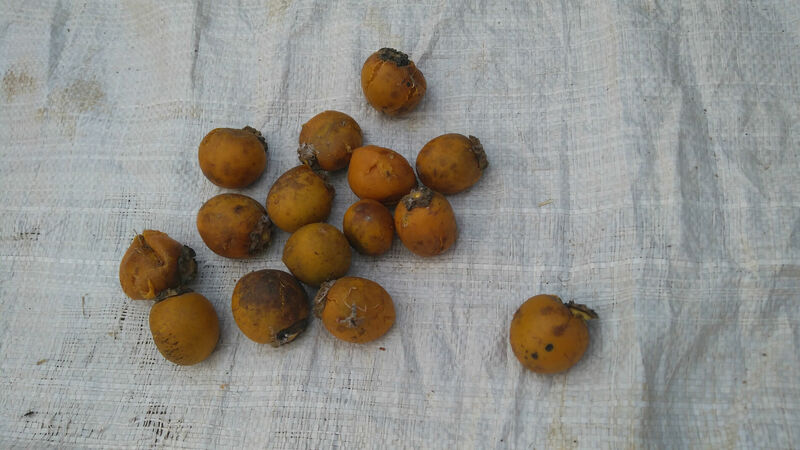 “First we used to quickly get what we were looking for in the forests. Now we have to find them.” Since construction and militarization on a big scale started in the state, it has lost a lot of its forest cover. When local doctors like Singh go to the forest, they take what they need for the time being, saving the rest for others and for the generations to come. They agree that people, including some of their own, have now been lured to sell these resources for greed, depleting what is there without replenishing it. 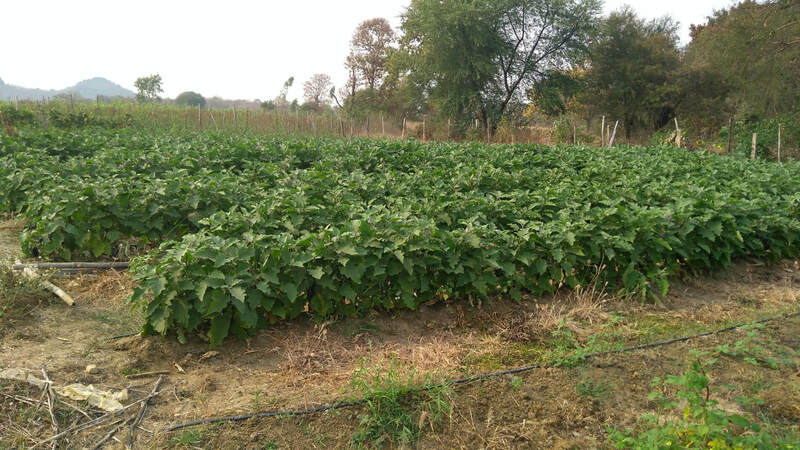 The second visit I make is to Mane Singh Kavde’s farm in Kanker’s Bewarti village, another herbal doctor. Before we meet him, we are asked to wait outside a closed poultry shop. A while later we head to his farm, which has vegetables, fruits and trees growing. We find Kavde in the greenhouse and start talking to him but the heat pushes us out where we spread a gunny sack on the ground and begin the conversation. Kavde was a trader running a profitable business, until he fell sick and had to find and prepare his own medicines for his recovery. “In modern medicine, they give you fifty medicines for one disease. Nature is such that one thing here can treat fifty ills.” The medicines he gives are supposed to do a speedy job of killing the virus, while the discomfort caused by the malady takes a few days to end. Both doctors, Sundar Singh and Mane Singh, adhere to the pledge which says a doctor’s first duty is to treat and heal the patients. Today hospitals in bigger cities and the fraudulent work done by quacks have also made sections of the population suspicious about indigenous medicines. Yet when this knowledge is appropriated, patented and packaged by pharmaceutical companies and sold at high prices, the public puts its trust in the drugs. While the healers I met were concerned about this development as it limits access and corrupts the natural composition of the herbs, personally they have no urge to be competitive because healing is not a commercial enterprise for them. “Here,” Mane Singh says, “we share our knowledge with the community. It has been transferred to us from our elders to benefit people, not for profit making.” Perhaps this is why youth groups like KBKS, Koya Bhoomkal Kranti Sena, receive higher education as well as local trainings, and attend inter-state tribal meets, to educate themselves and fellow tribals about their rights, so that they both preserve their own traditions and resist vested interest groups from taking advantage of their knowledge and resources.